3D-Printed, CNC'd, MakeBlocked, and Phone-Controlled TrotBot! Scott Anderson has taken TrotBot to a new level. In addition to using modern Maker tools and gear, Scott reduced TrotBot's width by printing leg parts that link in-line, strengthened the upper leg parts by printing them as bend-resistant triangles, and added those cool hinged feet! Scott shares how he created his TrotBot below, and you can access Scott's files on his Thingiverse page. It is controlled via bluetooth from any phone. It uses Adafruit Bluefruit LE Connect app. The arduino code on the walker is modified to respond to the directional buttons and keys 1&2 to rotate clockwise / anit-clockwise. There is a great example project using all these pieces https://learn.adafruit.com/bluefruit-feather-robot/overview. - Autodesk Fusion360 - design and assembly testing. It also generates the CNC mill tool path. I shared the 3d print STL files on thingiverse. I will be designing a better looking chassis and legs (purely cosmetic changes). My initial thoughts were to make it steampunk looking (hence the old school beam looking legs in this prototye). 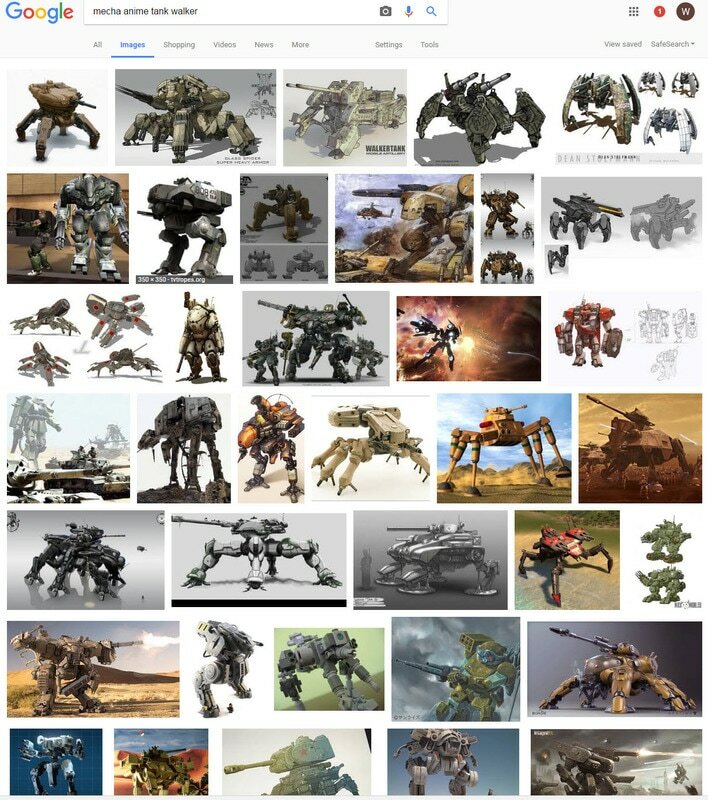 I am now leaning to a more mecha style (google mecha anime tank walker images to give you an idea). As always please feel free to ask questions. ​Looking forward to Scott's Mecha Anime Tank TrotBot!